This year school starts a week earlier than normal in our county. Next Monday, to be exact: August 19. Does that seem early to you? It did to us. I remember when I was a kid, back in 1980-something, school started after Labor Day, not a couple weeks before. Summer seemed endless and we spent several weeks of August at my grandparents’ shorehouse in Connecticut, with plenty of room to spare before school began. This early start may be crappy from a kid’s perspective, but as a full-time working mom I really don’t feel the difference. Being a working mom can sometimes be a juggle, especially when I try to fit things in like the PTA, or volunteering, or even surprise birthday lunches at the school. Having said that, there are some requests that come my way that feel right at home. Some might say they’re right up my alley, even if I’ll never be a “room mom.” I’m not sure I’d be cut out to be a room mom anyway (but don’t tell my elementary-schooler that). The PTA put on a back-to-school breakfast for the teachers today. The theme was “Coffee Shop,” which meant bakery goods galore! Even if I’m not much of a baker, I can whip up some goodies on command—heck, I even enjoy the opportunity. Thinking through what I already had at the house (this mom didn’t have time to stop at the store on the way home from work), I wanted something that would make use of the pint of fresh blueberries sitting in my crisper drawer. And then I remembered it. The recipe I pinned recently that SCREAMED blueberry goodness. Bright purple against a buttery crumble, begging to be baked and devoured. That, my friends, was the treat I had to make—with a few adjustments and a twist of lime. These bars are simple. There are only a few ingredients, many of which are probably sitting right inside your pantry. If you don’t have fresh blueberries, try frozen. Or, skip the blueberries and use raspberries, blackberries, strawberries, or even peaches. Better yet, try a combo! 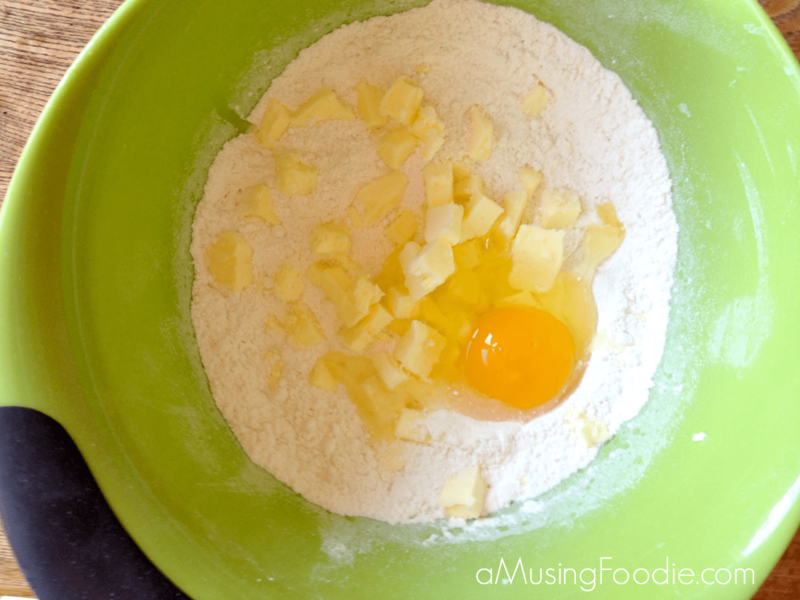 First you start out by mixing flour, salt, and baking powder together in a mixing bowl. 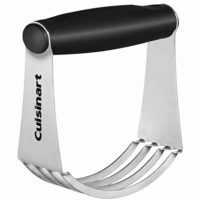 Then cut pieces of cold butter and one egg into it with a pastry cutter/dough blender (I find a combo of my hands and a fork work well, too, but if you have the tool use it). You’re not looking for a super fine crumble … just a rough one. And it’s okay if you still have pieces of butter that are rather large. I’m pretty lazy and got bored with cutting it in … and it turned out fine. Half of this mixture gets pressed into the bottom of a greased 8″ square glass baking dish to make a simple crust. Just use your fingers. The blueberries get coated in a mixture of lime juice, sugar and cornstarch. I know most people (including Smitten Kitchen) use lemon (and I like that too), but lime and blueberry is exquisite! Pour the blueberries and all the juices evenly right over top of the crust layer. Then crumble the rest of the flour mixture on the blueberries—they should almost be covered. The bars get baked at 375°F until they’re golden brown, about forty-five minutes. Then, and this is really important, you must let them cool completely before attempting to cut them. 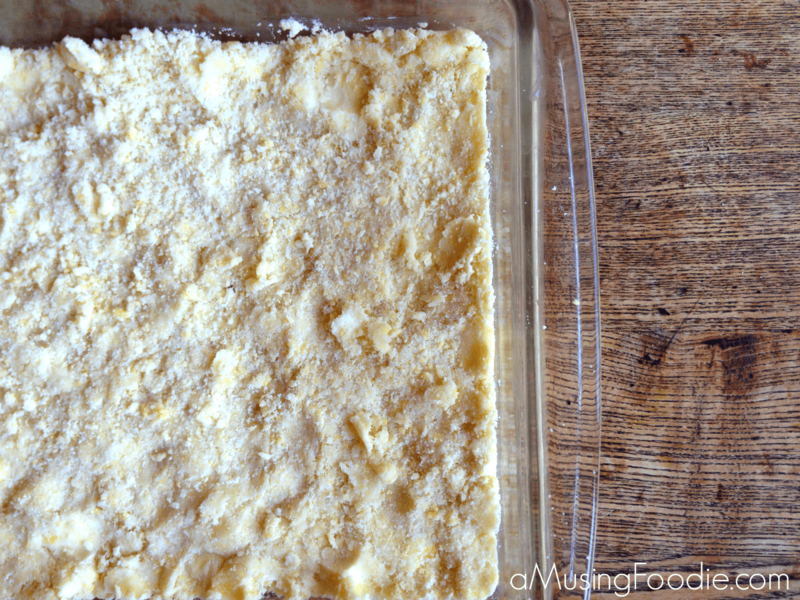 In fact, let them cool to room temp, then throw them in the fridge for a couple of hours (or overnight), and THEN cut them into bars. 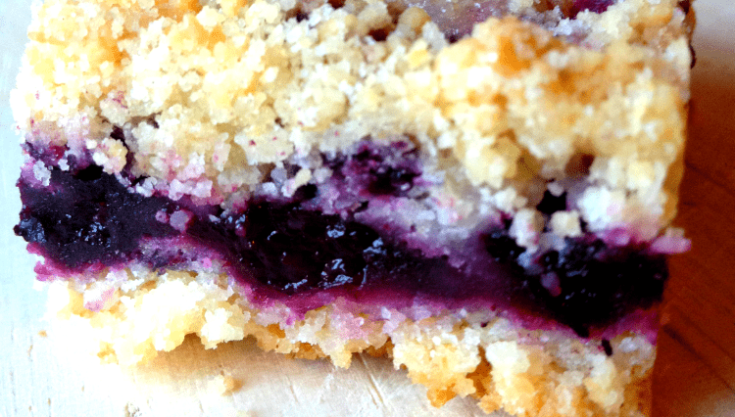 These blueberry crumble bars are like a dessert masquerading as a breakfast. Preheat the oven to 375°F. 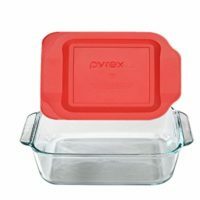 Butter a 9x9" glass baking dish and set it aside. Combine the flour, 1/2 cup sugar, salt and baking powder in a mixing bowl. Add the butter and the egg, and then use a fork, your fingers, or a pastry cutter (if you have one) to incorporate the butter into the dry ingredients. 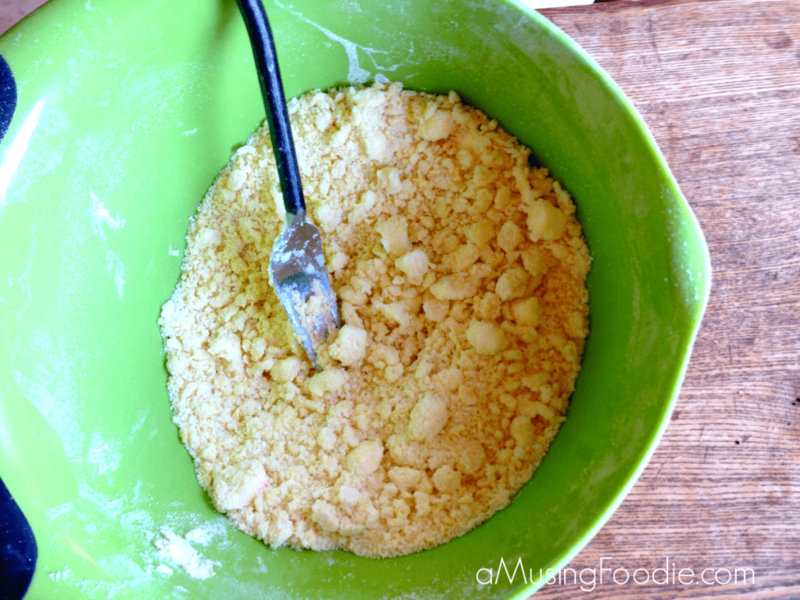 The mixture is good to go when it reaches a coarse crumble. Press 1/2 of the crumb mixture into the bottom of the baking dish. In another bowl, whisk together the lime juice, 1/4 cup sugar and cornstarch. Add the blueberries and gently toss them to coat. 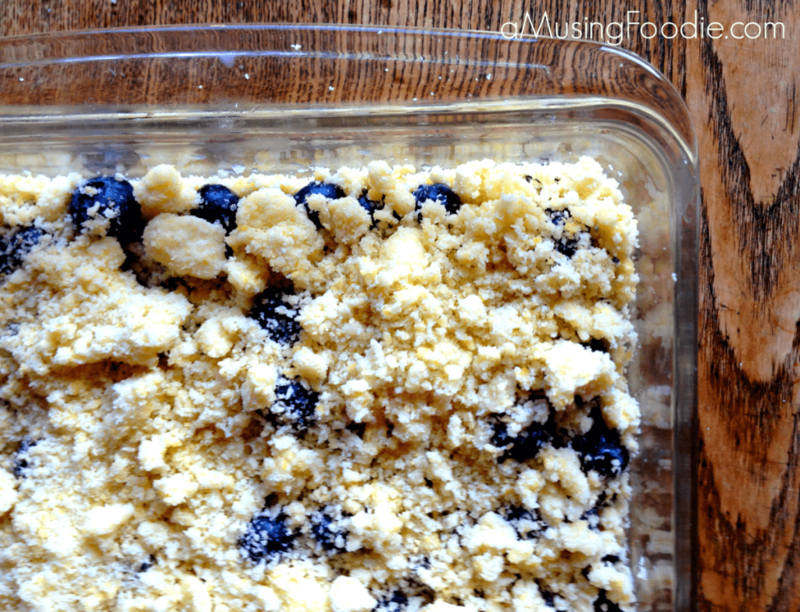 Layer all the blueberries on top of the crumb mixture in the baking dish. 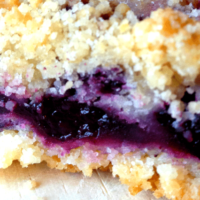 Sprinkle the remaining crumb mixture on top - it should be enough to almost cover the blueberries. 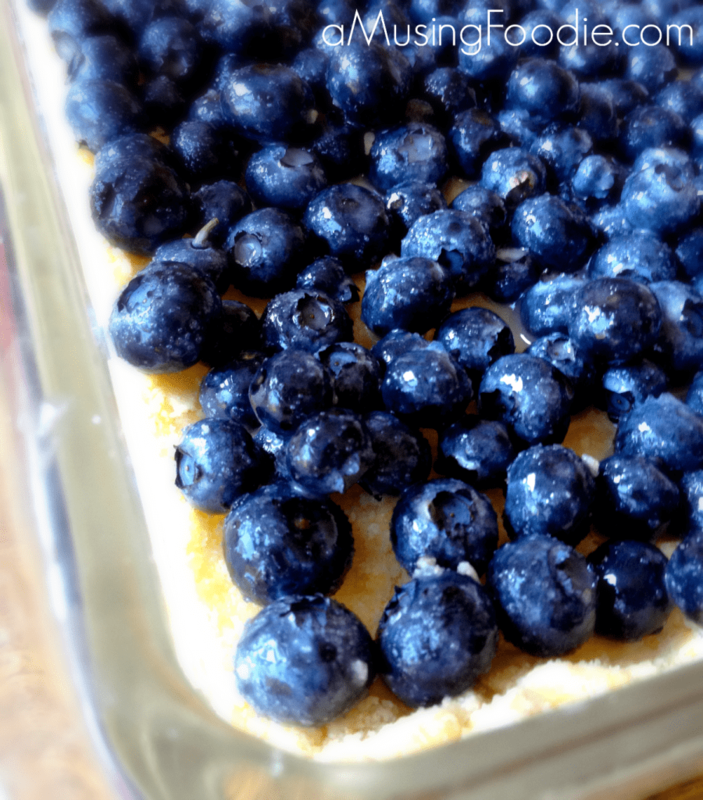 Bake the blueberry crumble bars for 45 to 50 minutes, or until the blueberries are bubbly and the top is golden brown. Let the bars cool completely before cutting—an hour may work, but refrigerated overnight is best. 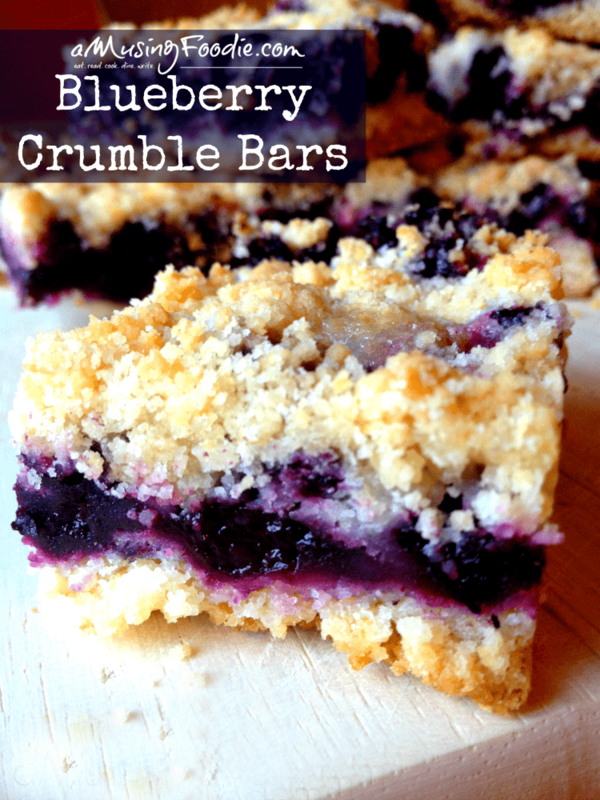 This recipe was adapted from Smitten Kitchen’s Blueberry Crumb Bars. These really look yummy and not too hard to make!!! You may want to correct your instructions. It says “baking soda”, however you say to use baking powder. Oh – Gina, if you successfully make a conversion recipe, let me know. I have gluten-free readers that would really appreciate it! I just bought a bunch of blueberries – your timing is perfect! This looks delicious. The schools near us started back August 5th. Isn’t that ridiculous? Oh my goodness, those look incredible! Oh my, these look delicious. I’ve definitely pinned! Yes! Just thaw them first, and then proceed per the recipe instructions. Cheers! Hi Shanna – absolutely! Frozen berries are a great substitute! 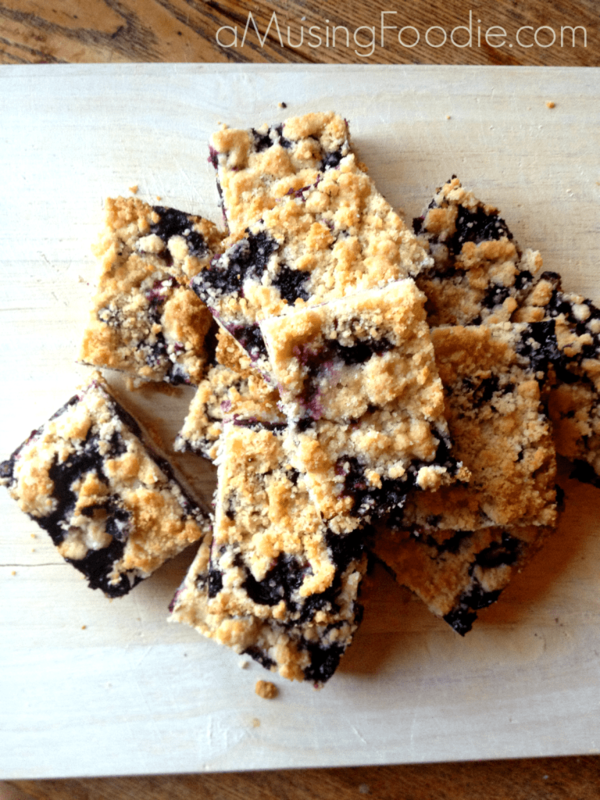 We love blueberry bars around here! Kids can’t get enough of them and since they are easy to make, we love making them in the summer! oh I so wanted these to be super healthy. They looks so yummy but I will have to wait a while before trying them. im guessing these are better than pop tarts. Count me in! Haha – you could say that. Could you possibly post some recipes for people who are lactose intolerant? Or alternates for ingredients like cream cheese. I can find soft goat and sheep cheese , but ricotta, mozzarella are hard to find. Also best way to store cheese. Hmmm…. Occasionally I’ll post a dairy-free recipe, but since we don’t have any lactose intolerances or dairy allergies in our house, it’s not top of mind. I always store cheese in the fridge, in the cheese drawer, inside a sealed bag. There might be a better way though! Can you use lemon juice instead of lime? I had a total pregnancy brain moment and thought the recipe called for blueberry pie filling. 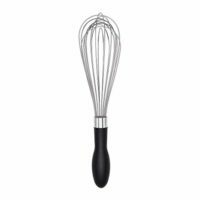 Can that by any chance be used in place of the fresh blueberries? Yes – it’ll be a lot sweeter though! Give it a try! Just made this, it is delicious!!! Awesome!!! Favorite over here, too. I need to make them again soon! I need to make enough for 25 bars. How would I adjust this for a 9×13 pan….or would it just be better to make two 9×9’s? I’d probably make two 9×9 pans, though you could probably double it and have about the right amount. 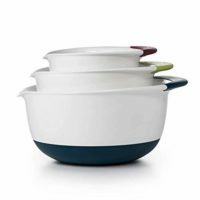 Thanks–I had to buy 2 9×9 pans, and made the third with my 8×8, which worked out fine. I think I could double it, and it would be fine. It’s not like it’s a batter. Thanks! These came out great–I’m happy with how they came out, especially as I made them for someone to bring to a church coffee. I made 3 pans, as I need enough for 25 adults. I’ll have a little left over, which is good, as my husband couldn’t wait to try it. Question: I read that they cut better if you put them in the fridge overnight, but when you refrigerate them, I’d guess you’d want to cover them. In covering them, would the crumble on top get soft and wet? I covered something a while back, and was disappointed because the topping got mushy. What has been your experience? Maybe it wasn’t cooled all the way? As long as they’re room temp before putting them in the fridge, covering them should be fine! Glad they turned out!!! Wow!I have to say these are really fantastic. Never baked with blueberries before but had some good ones on hand and gave it a go. We devoured these. Right portion! So tasty! Awesome!!! They’re such a favorite here. So good.